I read about Rae Stimson and her amazing felted creations on the Idiosyncratic Fashionista's blog here. The Brooklyn-based artist makes fabulous sculptures, animals, and accessories from needle-felted wool, and I fell in love with this little rat, which I named Ginger (to go with Fred...you know). 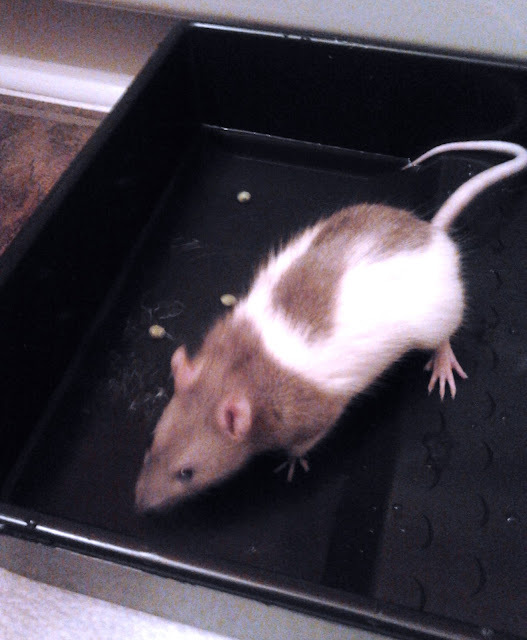 She's life-size, and has very similar markings to the other rat in my house. 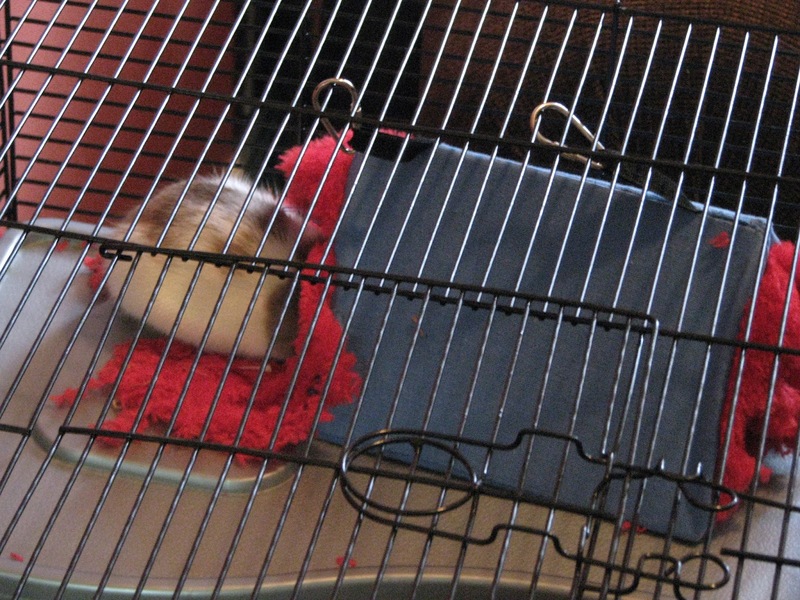 I did tell Rae when I purchased Ginger that for future reference, rats don't sit up when they eat, they crouch, and sent her a photo of Fred for reference, which she appreciated. Check out Rae's critters and other creations on her Etsy page. While Fred and Ginger are similar in size and colour, and share a love of blueberries, the resemblance ends there, and unfortunately the two shall never meet, as Fred would no doubt chew Ginger to bits. Oh I LOVE this so much! I love how much FUN you have with Fred! She is gorgeous. 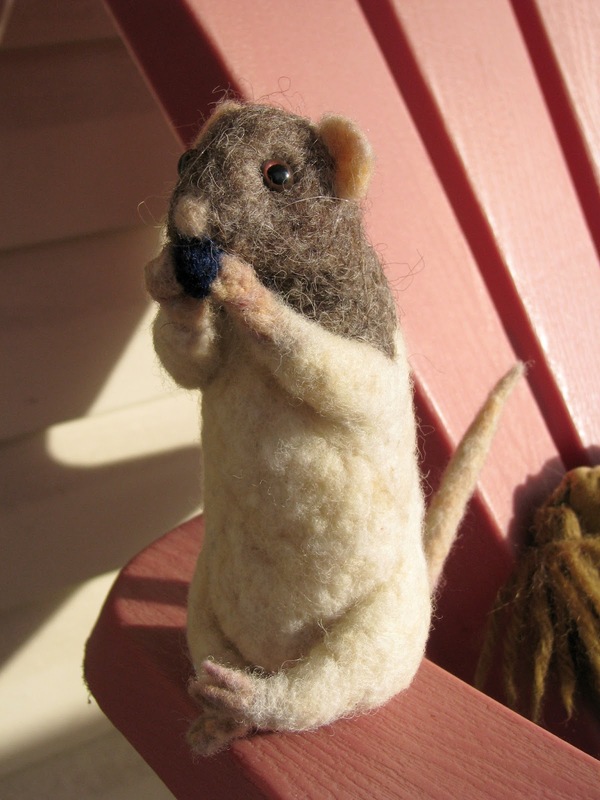 And I love the amazing felted rat too - aren't people CLEVER! This is so cool! I had no idea you could play with rats! Fred seems such a sweet little guy and your felted rat is so lifelike. What a great lil buddy! 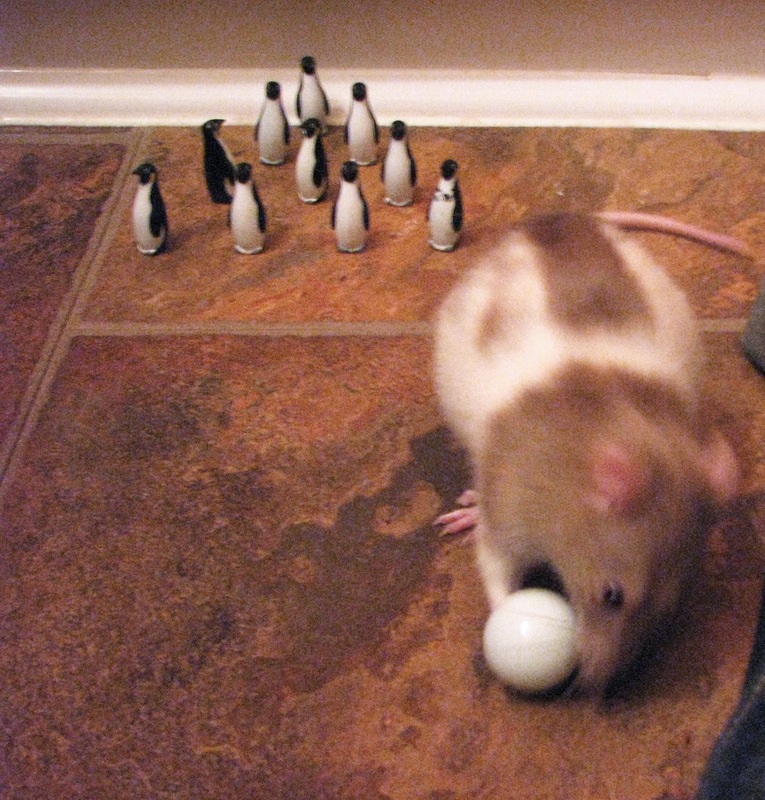 I think rats are cute - I used to have them as pets as well. 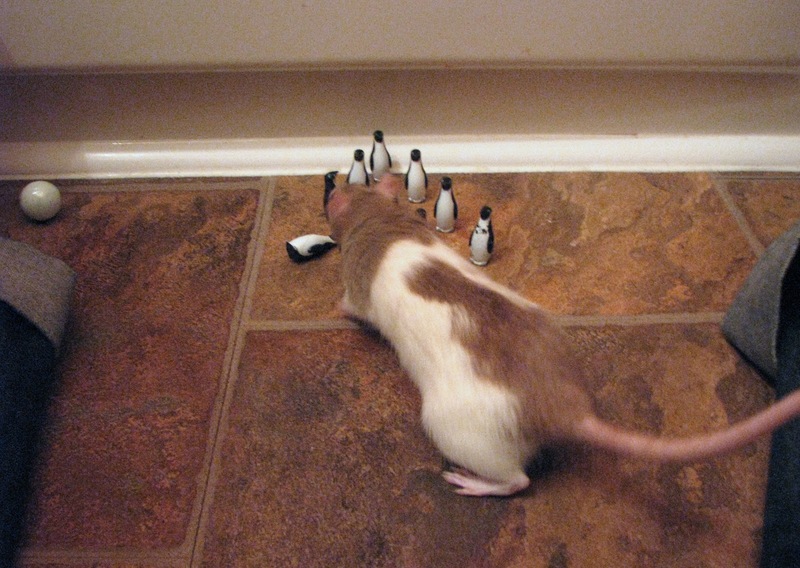 I love the penguin bowling game too. I love rats too. I once rat-sat for a neighbor's pet, "Ralph" and according to her, spoiled him rotten by allowing him to sit on my shoulder or lap all day. He was a pretty intelligent and affectionate creature. Fred is awesome as is her likeness Ginger. 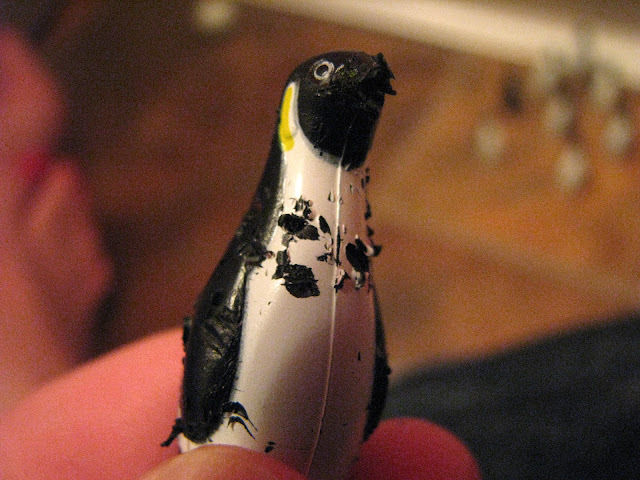 Good to know that they enjoy buttons, peas, and plastic penguins. Sorry, your Fred is fun, but rats make my skin crawl. 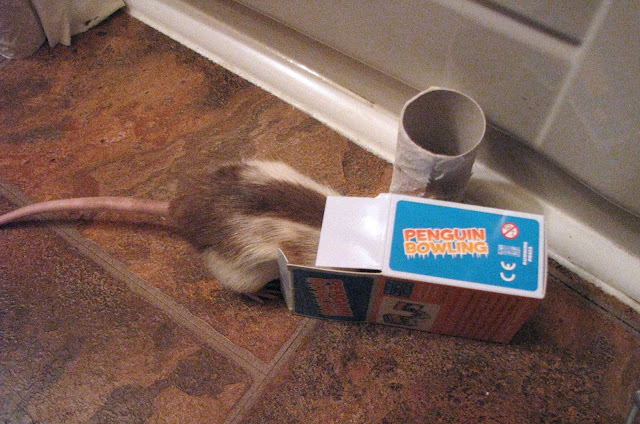 Hmmm, this post has divided your followers into ratophiles and ratophobes. As for myself, I fall into the phobic camp. Give me a cat or four any day! Rats AND penguins! Absolutely hilariously entertaining, my dear. Rae Stimson rocks! And 3 cheers to Fred. 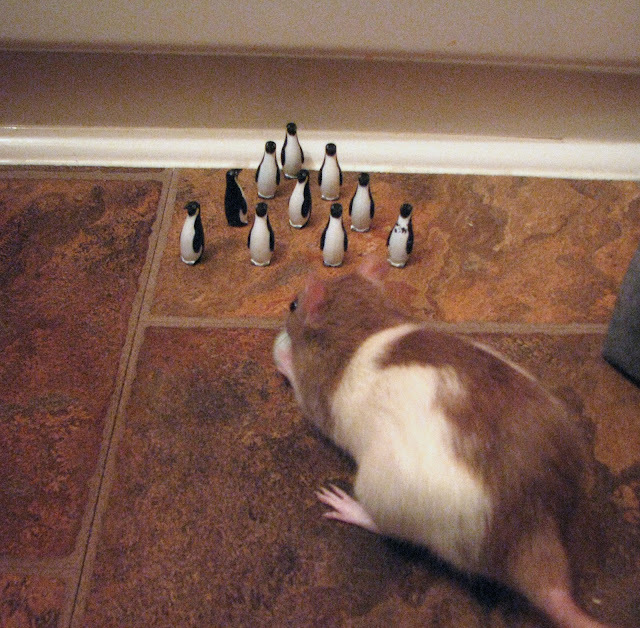 Tee hee....a lovely rat tale.......love it.....especially the little chewed penguin. 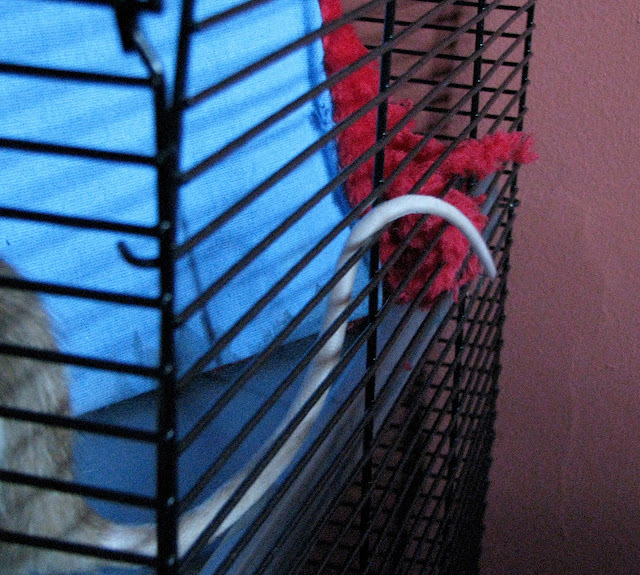 Rats freak me out (long story) but yours is rather adorable.